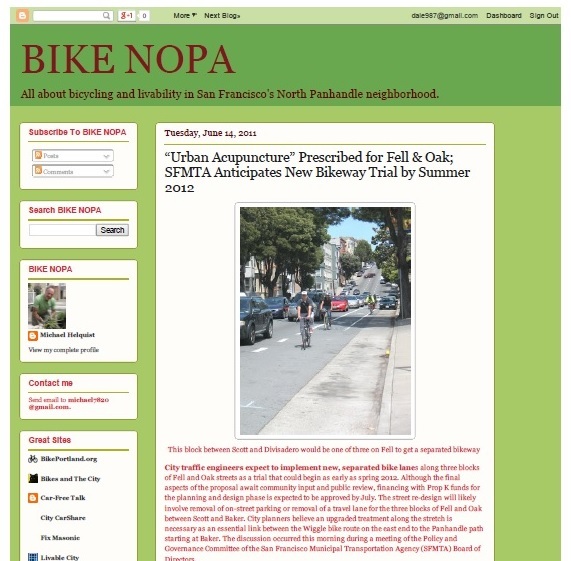 BIKE NOPA was one of the first neighborhood-based bicycling and safer streets blogs in San Francisco. From 2009 to 2011 it focused on the North Panhandle (NOPA) area of the city, a 30 square block district north of Golden Gate Park, with more than 550 blog posts. The blog encouraged an appreciation for urban bicycling as a means of transportation for all age groups at a time when the neighborhood experienced rapid demographic change with an influx of young families and young adults. BIKE NOPA organized and helped coordinate the first Bike the Block party and the first Sunday Streets in the greater neighborhood. It profiled Women on Bikes and Dads on Wheels to help expand the appeal of biking and worked with groups to create more of a bike culture in the neighborhood. 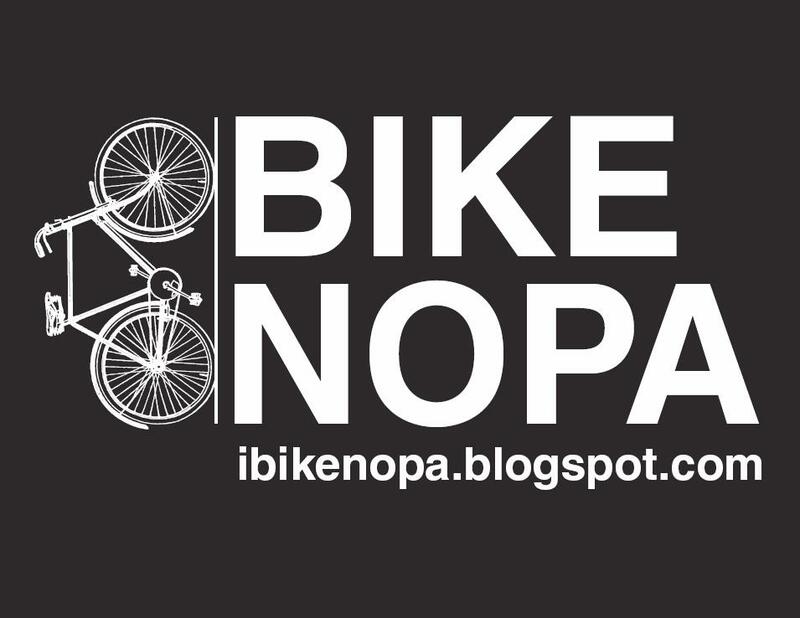 With major arterials bordering this largely residential area, BIKE NOPA also advocated for a re-design of several streets to enhance safety for all users of the road whether on two or four wheels and for wider, more accessible sidewalks.